In this modern, hectic world, you may not believe that it is possible to both study towards your dream career in fitness as well as keep up with the demands of day-to-day life. However, you'd be happily wrong, as at the Australian Fitness Academy (AFA), you can tailor your course of learning around any lifestyle, whether you choose to study full-time, part-time, or complete your qualifications by learning online. It doesn't matter whether you're looking to complete a Certificate III and IV in Fitness or you're thinking about becoming a sports trainer,at AFA, our courses have been meticulously designed to fit in seamlessly with any lifestyle. Indeed, there are many study options available to students no matter their requirements – let's take a look at these in further detail. If you live in Melbourne or Brisbane, on-campus study is an option, and you can attend classes full-time or part-time. You need to commit to the on-campus visits which can vary per state and is generally two to three days per week, or two evenings per week. To get through your course with flying colours, sign up to the full timetable of classes. However, our full Personal Training courses courses can alsobe completed on an online basis, so you can choose to carry out your studies from the comfort of your own home, at a time that's convenient to you. This allows you to effectively learn at your own pace, and you're able to enrol at AFA no matter how busy your schedule may be. This is the most popular way to study as you don't have to live in Brisbane, Melbourne, or any other of Australia's major cities to attend – you can do it from anywhere in the country, or the world! At AFA, our courses have been meticulously designed to fit in seamlessly with any lifestyle. Online study has become increasingly popular, and for good reason. It's a great way to gain your qualifications without the need to attend classes on campus, yet you still have access to all the resources and support you need. Many people believe that online learning will put them at a disadvantage as opposed to those that enter a physical college or university – not a bit of it. The AFA has a team of full-time Student Support Officers, who are there to offer you help at any time. All you have to do is pick up a phone or send a message – again, it's completely up to you! 1. Plan ahead and connect with your lecturers early. It's always good to reach out as soon as possible, and that you don't sit on any concerns you may have. Just pick up the phone and call them, or fire off an email. At AFA, we start off all online courses with a webinar so it's a good chance to meet the lecturer early. You can also join up to the closed group pages for support from other students while you study. 2. 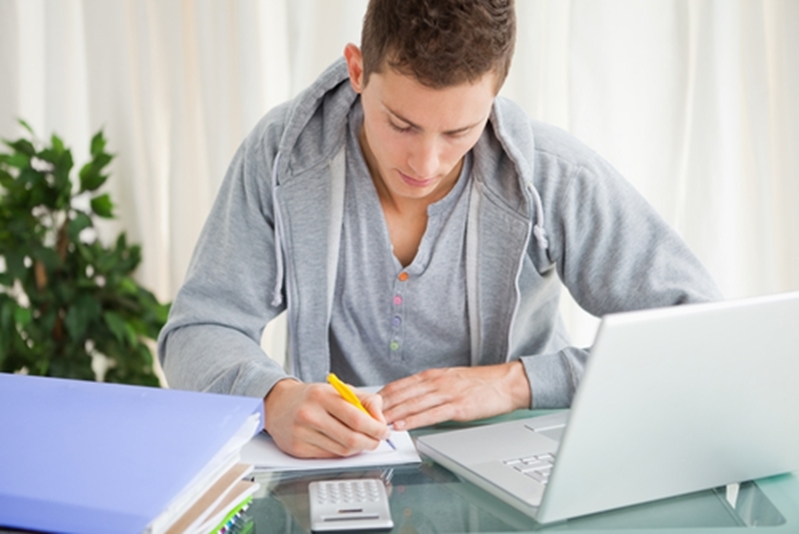 Check the technical requirements of online study. Do you have the right set up? If you are unsure, just ask! 3. Get yourself organised. When you enrol into a course, you are given a full training plan that outlines all the topics of study along with suggested time frames. While you have a maximum amount of time to complete your study in, you can allocate extra hours to finish off your study and get qualified sooner, or you can take the full amount – whatever works for you! Planning this out before you start studying, however, helps you achieve the end result with much less stress. 4. Create a study schedule. Pop your study hours into your weekly diary so you can make sure you have time set aside each week to dedicate to getting qualified. Some of our students finish more quickly than others – it isn't a race, but the length of the course depends upon how many hours you put into it each week. Why not get in touch with the Australian Fitness Academy today to find out a little more about our flexible courses? Completing your studies online is a very popular option at Australian Fitness Academy.